Today in Masonic History Charles Edward Bennett passes away in 2003. Charles Edward Bennett was an American politician. Bennett was born in Canton, New York on December 2nd, 1910. In his teenage years he moved to Florida with his family. He graduated from high school in Tampa, Florida. He was an Eagle Scout and received the Distinguished Eagle Scout Award from the Boy Scouts of America. After high school he went on the University of Florida. He was the only person in the history of the school to be the editor of the school newspaper and the president of the student body. During his time as editor, he wrote an editorial in favor of isolation and the importance of the United States staying out of other countries wars. He graduated from the University of Florida with a Bachelors Degree. He would go on to enroll in the Law School and graduate with a Juris Doctorate in 1934. After graduating from law school, Bennett began practicing law in the Jacksonville area. He would be elected to the Florida state legislature in 1941. He would only serve one year though, resigning in 1942 to enlist in the Army. He would serve with distinction in New Guinea during the Japanese occupation of the Philippines. While serving in the South Pacific, he contracted Polio and would spend the rest of his life with both legs paralyzed. In 1949, Bennett was elected to the United States House of Representatives from Florida. He would serve in the House of Representatives until 1993. At the time he left the office, he was the second longest serving Congressman in either House of Congress. During his time in Congress he gained the nickname "Mr. Clean." He wrote a code of ethics for all government employees that was nicknamed The Ten Commandments. 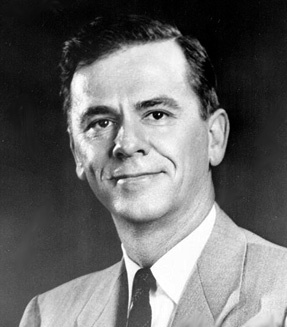 After the Sherman Adams Affair, where Eisenhower's Chief of Staff, Sherman Adams, was accused of accepting gifts from a businessman who was under investigation by the Federal Trade Commission, the code of ethics was adopted. Also during his terms in office he would return his social security and veteran disability check's to help reduce the national deficit. He would also donate any left over campaign funds to the National Parks. According to the American Almanac of Politics 1980, he opposed unofficial office accounts, outside income for members of congress and congressional pay raises. This led at least one colleague to allegedly call him, "a bit too pious." Bennett was in the middle of the 1992 election and was likely to be reelected, when his wife became ill. He immediately withdrew from the race. After suffering a heart attack and a stroke which confined him to a wheelchair in 2002, Bennett's health continued to decline. He passed away on September 6th, 2003. Bennett was a member of Riverside Lodge No. 266 in Jacksonville, Florida.